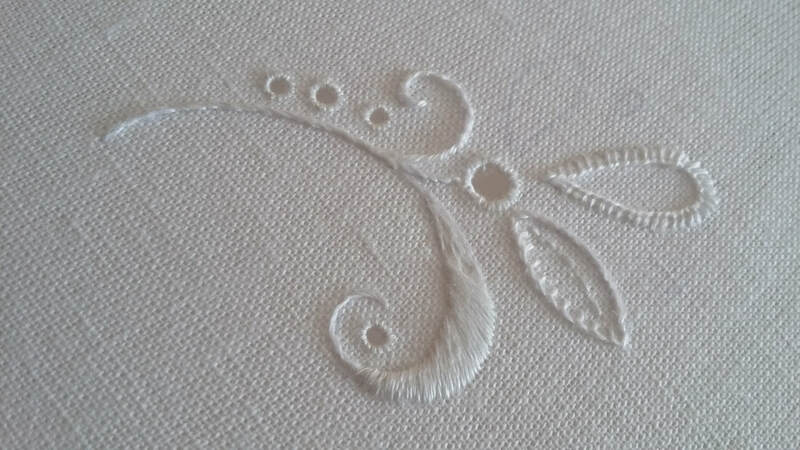 This class covers a few of the basic stitches used in traditional whitework embroidery, such as padded satin stitch, back stitch, overcast stitch, buttonhole stitch and cutwork. There are also a variety of broderie anglaise eyelets to stitch, which are worked using a special stiletto tool to form perfectly round holes. The design is stitched in 1 and 2 strands of thread. If you find the white on white hard to see the techniques can still be learnt using a pretty pastel shade or a modern bright one! The design is worked on a linen fabric and will be drawn on for you so you can get stitching straight away. Materials are not included in your course fee. All materials will be provided by the tutor. The approximate cost of these will be £12.50, payable to the tutor during the course. We do not have the facilities to take card payments for materials in the workshops. Please remember to bring cash or your cheque book if your course involves buying materials from the tutor. A 6,7 or 8inch ring frame if you have one. If not the tutor will provide them for the day. These will also be available to purchase. A stiletto ( whitework tool- if you have one). Stilettos are hard to come by and can be expensive, the tutor has several for students to use on the day.